In brightest day, in blackest night, writer Geoff Johns took one of DC's greatest heroes to bold new heights! 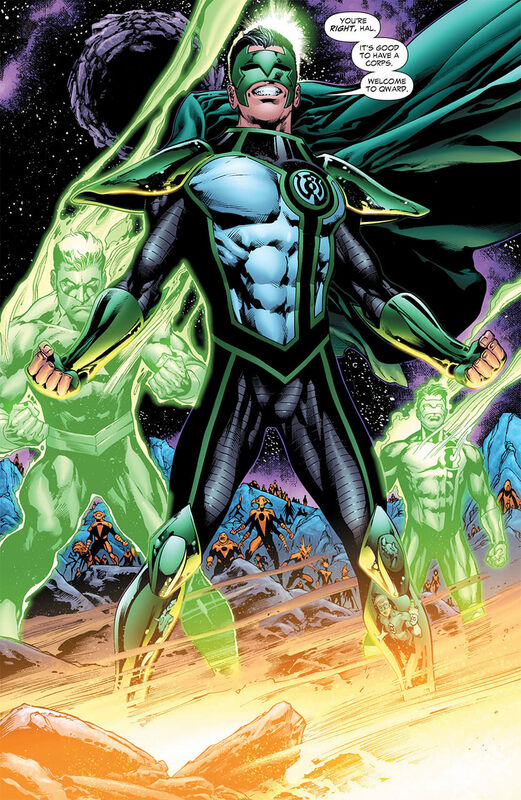 After restoring Hal Jordan and the Green Lantern Corps in the 2004-2005 limited series Green Lantern: Rebirth, Johns began a legendary run on Green Lantern that shook the multiverse. And you can now read Johns' entire first volume of Green Lantern on DC Universe! 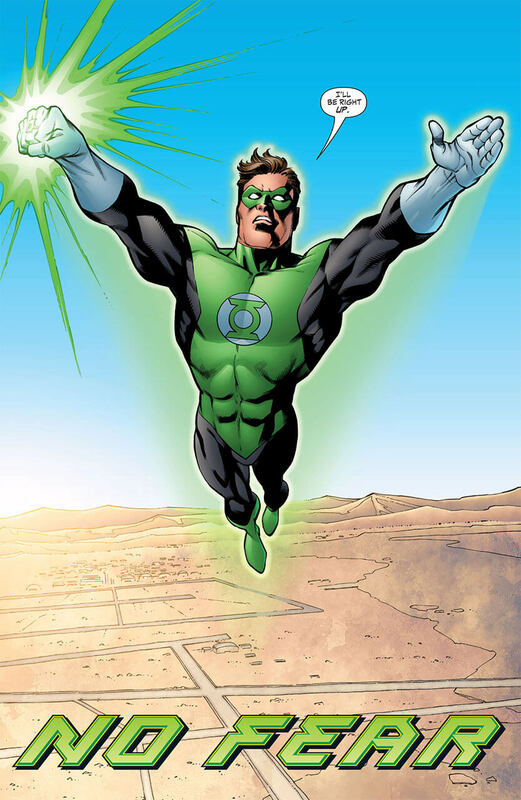 The first arc, "No Fear", reintroduced Hal Jordan and established his place in the world. We learned what drove Jordan and saw him go back to basics by resuming his career as a pilot. But before long, a visiting Manhunter puts Coast City (destroyed in the classic Superman storyline "Reign of the Supermen") in danger again. If you’ve never read Green Lantern before, this story is a perfect jumping on point that tells you everything you need to know about Hal Jordan. If you’re a longtime Green Lantern reader, you'll appreciate how this story builds on the foundation of prior runs. "No Fear" strikes the perfect balance for new and old readers alike. 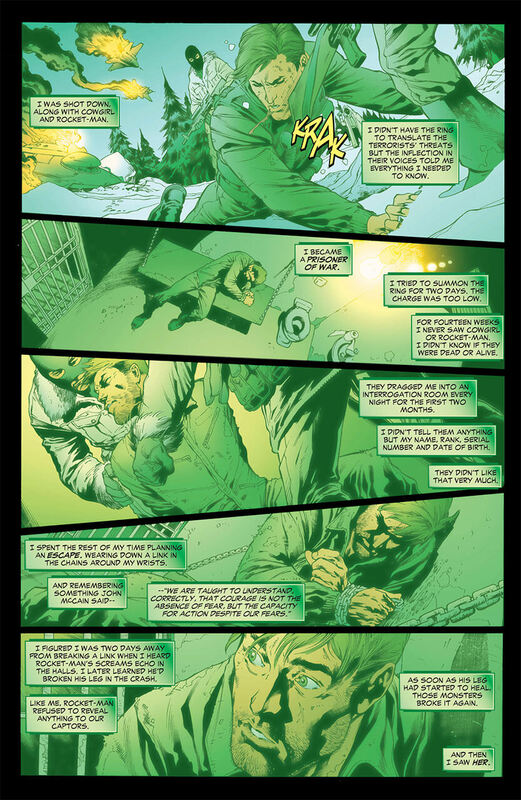 By Green Lantern #10, the book’s timeline (along with the rest of DC continuity) jumped ahead one year, and saw Hal dealing with a bout of PTSD. It turns out Hal and two other pilots had been captured during a mission and held in captivity for months. During their incarceration, Hal and his friends were tortured endlessly before they were able to escape. Hal carried a lot of guilt with him, since he hadn’t worn his power ring during the mission. He felt that he could’ve spared his friends from all their suffering if he had just taken the ring with him. Coast City wasn’t the only thing that needed to be rebuilt. Now that the Green Lantern Corps was back, Hal Jordan had a difficult time regaining the trust of the members who remembered his earlier betrayal when he was possessed by the fear entity Parallax. Hal eventually earned the forgiveness of his fellow Lanterns, though they didn’t make it easy for him. 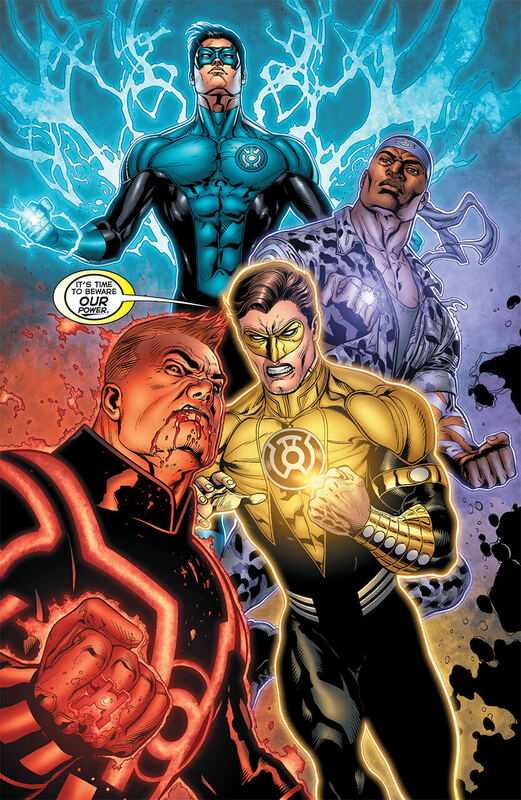 "Sinestro Corps War", a storyline that began with in Green Lantern #21, raised the stakes. Longtime foe Sinestro recruited his own army of heavy hitters based on their ability to instill fear. Among those chosen were Cyborg Superman, the man partially responsible for the destruction of Coast City, and Parallax, who was now possessing the body of Kyle Rayner, Hal's successor as Earth's Green Lantern. Hal, who was still getting over the guilt from the destruction he caused during his own time as Parallax, was now worried Kyle suffer the same fate. As if that wasn’t tense enough, the Anti-Monitor and Superman-Prime were also allied with Sinestro’s forces. If there was ever a comic book equivalent of a summer blockbuster movie, "Sinestro Corps War" would be it. Green Lantern #29 began a seven-part retelling of Hal Jordan’s origin, titled "Secret Origin". This storyline expanded on Hal’s childhood fascination with flight, and how it ultimately drove a wedge between him and his mother. 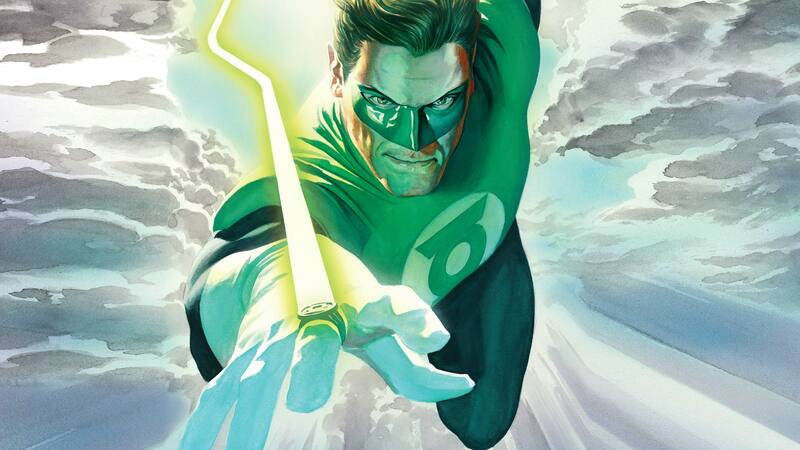 Readers saw Hal’s earliest days as a Green Lantern, and how he fought side by side with his future enemy Sinestro. 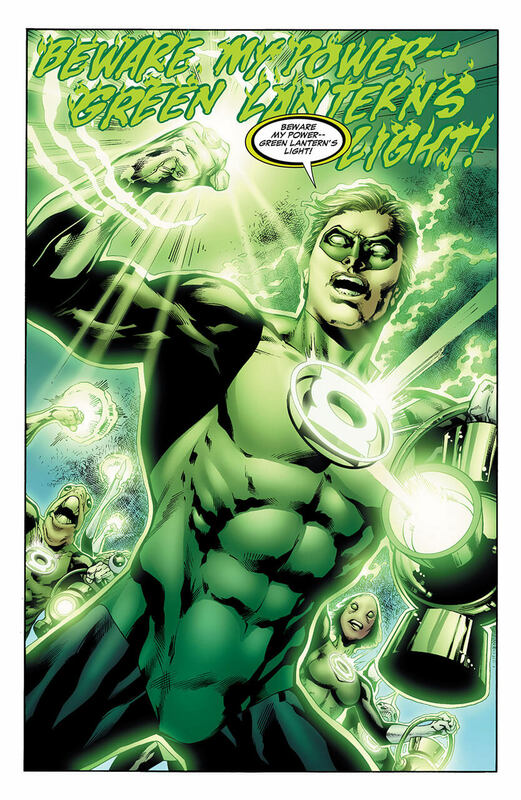 Although it’s a story that had been told before, Geoff Johns' script and Ivan Reis’ peerless penciling gave the narrative new depth, leaving readers with a deeper understanding of what drives Hal Jordan. Then came "Blackest Night"... It began in Green Lantern #43, and was not only one of the biggest epics in Green Lantern history, but the entire DC Universe! Imagine a zombie apocalypse, but one in which the undead have super powers! 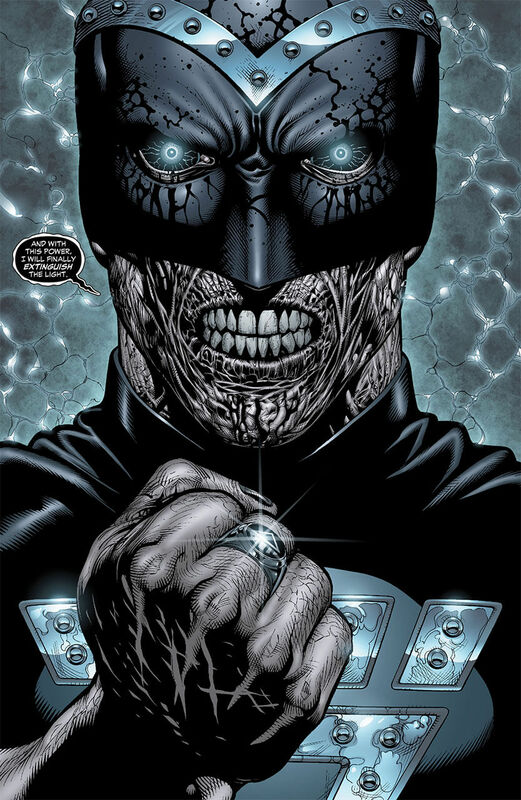 If "Sinestro Corps War" was an action blockbuster, "Blackest Night" was a horror extravaganza. It finds the demonic Nekron sending black power rings to reanimate the corpses of fallen heroes, leading to some highly emotional battles. In an effort to defeat Nekron, Hal unites different Lantern Corps of various colors to form White Light. By the end of the story, a handful of heroes and villains were permanently revived, leading the DC Universe to a new event, the "Brightest Day". The last major storyline of Johns' first volume of Green Lantern was "War of the Green Lanterns", which began in Green Lantern #64. After years of rebuilding, the Green Lantern Cops is torn apart when former Guardian Krona brainwashes the Lanterns so he can control the universe. Hal Jordan -- along with fellow Lanterns Guy Gardner, John Stewart, and Kyle Rayner -- is forced to fight an army of former allies. This storyline features one of the coolest moments of the series, when Hal and his friends don different colored Lantern power rings for an epic showdown. If you’ve never read Green Lantern and aren’t sure where to start, then look no further. Geoff Johns' Green Lantern is sure to win you over. Are you a Green Lantern fan? Let us know in our Community!